This week’s contributing writer, Teresa Krasny, is a London-based art advisor and curator of a private collection. She is also a member of the steering committee of the European chapter of the Association of Professional Art Advisors (APAA). 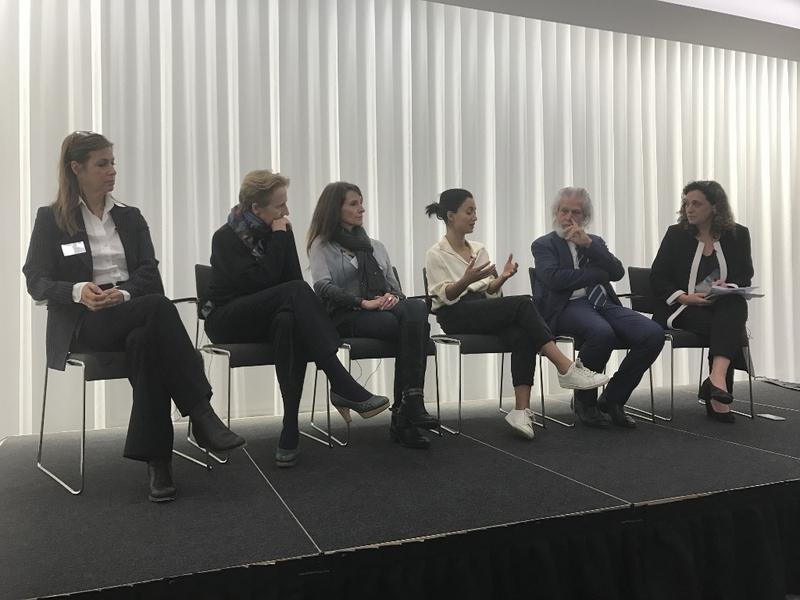 The European chapter of the Association of Professional Art Advisors (APAA) held a conference in London on October 6, 2017 on the conservation challenges of contemporary art. Hosted by Mishcon de Reya, this fascinating two-hour discussion featured five speakers addressing issues ranging from the practical to the philosophical. The first speakers, Dr. Bronwyn Ormsby, Principal Conservation Scientist, and Rachel Barker, Paintings Conservator, both at the Tate, discussed the restoration of Mark Rothko’s 1958 Black on Maroon after a young man scrawled forty-four letters in spray ink in the lower right corner of this iconic painting on October 7, 2012. Over the course of 18 months–longer than the perpetrator’s prison term–they engaged in an intensive period of research and consultation with a team of advisers, including the artist’s children Christopher and Kate Rothko, followed by painstaking restoration and retouching. Understanding and respecting the artist’s technique was fundamental. Though Rothko was notoriously mysterious on the subject of his materials, an analysis of the thinly applied paint layers uncovered their highly friable nature and a curious mix of compounds used which did not adhere to each other but gave the effect the artist sought. For the testing process, the Rothko family provided an archival piece of maroon primed canvas. Ultimately, after numerous tests, a low risk solvent-based ink removal strategy was selected and proved effective. Rachel and Bronwyn measure the success of their intervention by the fact that it is completely ignored by the everyday visitors to the gallery where the painting has returned to its rightful place. Stephanie Camu, curator and artist manager, spoke of her 15 years of experience working closely with Bill Viola and his studio. She provided valuable insights into the issues related to video and time-based works such as the rapid change in technology, the redundancy of equipment, how to record and interpret the artist’s intentions and how to show works when technology changes the original intention of the artist. Many of these issues only become apparent when the work leaves the studio. If you consider the conservation of Dan Flavin’s light works, as an example, he used off the shelf components that are now very rare and only hand made in small batches every year. Bill Viola’s studio has been proactive in conservation through stockpiling old equipment to replace aging or defunct equipment, maintaining stored work in optimal environmental conditions and embarking on a project to migrate very old tape to new. Advancements in technology have improved projectors and plasma screens. While the studio embraces this progress, with projectors for example getting cheaper and better, there are occasions when old technology is preferred because their effect cannot be replicated. Stephanie offered sound advice to the collector of video and time-based works to buy spare parts and extra equipment, to migrate regularly to new formats, to closely follow the studio’s advice, stay true to the artist’s intention, always use professional installers and equipment and as it allows the recreation of the work should anything happen. Rana Begum, a Bangladeshi-born British-based artist, spoke compellingly of her experimentation with a variety of media through her early days as student to her current practice. She moved towards abstraction early in her career and wanted to understand which materials could serve her aesthetic. A lack of funds initially drove her towards cheap materials such as Medium Density Fiberboard (MDF) and adhesive tape. The lack of durability of the latter gave rise to other issues such as the conflict between the artist’s reluctance to sell a fundamentally unstable artwork and a collector’s desire to own it. She ultimately and successfully embarked on a one-year period of experimentation with resin to mitigate the problem of adhesive tape. This marked a trend in the artist’s practice. Playing with the visual effects of ephemeral materials such as paper folds, drinking straws and woven baskets would then lead her to explore and test longer lasting materials to replicate these visual effects more permanently. As she underlined, her approach was very much driven by ideas rather than commercial interests and it was through the failures in the experimentation phase that she gained greater knowledge about the materials’ properties and then progress from one stage to the next. This process became vital to her practice as the scale of her work grew and more outdoor works were commissioned where the effects of environmental and climatic factors on the materials needed to be considered. She is driven in her desire to push materials to their limits to achieve her visual aesthetic but she remains conscious of a need for durability. She continues to note a tension around selling temporal works that are destined to disintegrate but has learned to accept that the deterioration of manmade materials is inevitable over time. The subject of the inevitable deterioration of the artwork continued with Italian conservator Antonio Rava. He cited examples of Zoe Leonard’s Strange Fruit, the reconfigured outer skin of fruit eaten by the artist intended then to decay and disappear and of Joseph Beuys’s Fat Battery (1963) whose disintegration pleased the artist greatly although perhaps less so the Tate, which owns it. As far as these artists and many of the Italian Arte Povera artists are concerned, ephemeral objects change in time and a return to the original pristine condition is not possible. From a conservator’s point of view, the important task is to preserve the decay but not go too far. In the case of Felix Gonzales Torres’ sweets, which can be eaten, it is their replacement that allows the transmission of the idea. With conceptual art it is primarily the message of the project rather than the project itself that is the focus. Antonio acknowledged that some difficulty can arise in the relationship between the collector, the artist, and the artwork when the conservator rather than the artist becomes the core practitioner in remaking the work. One approach towards the conservation of fragile materials is to engage in passive conservation where the deterioration is slowed down by enclosing the object in a glass box, for example, Beuys’ Butter and Beeswax from 1975. Antonio highlighted the difficulty in selling objects where a significant amount of substitution may compromise the authenticity of the work. However he was confident that technological progress would favor restoration over replacement of vulnerable materials, such as polystyrene and acetate, in the long run. 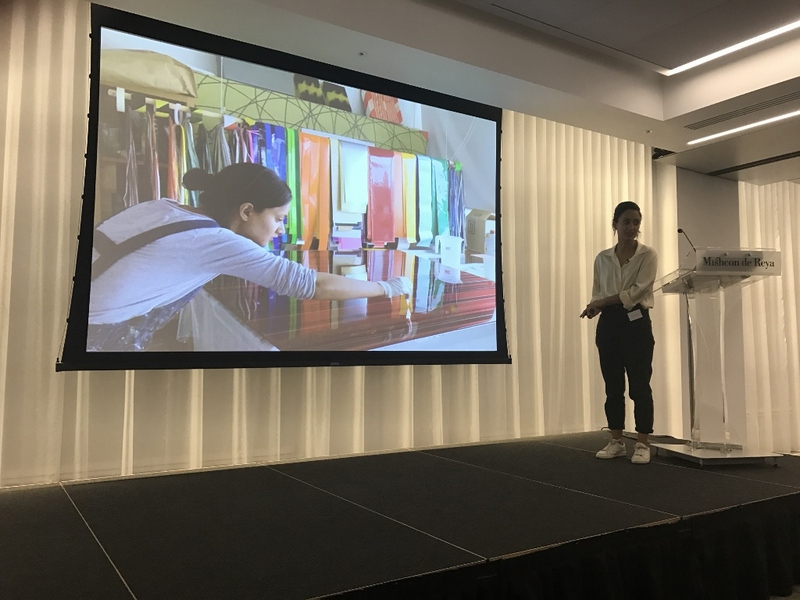 The conference gave much food for thought, particularly for art advisors facing the myriad challenges of how to advise clients on the conservation of non-traditional media. The diversity and quality of the speakers allowed for some very insightful exchanges and having an artist speak of her own approach to conservation was very enlightening.